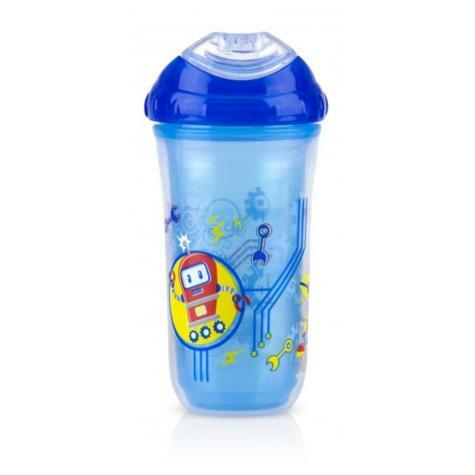 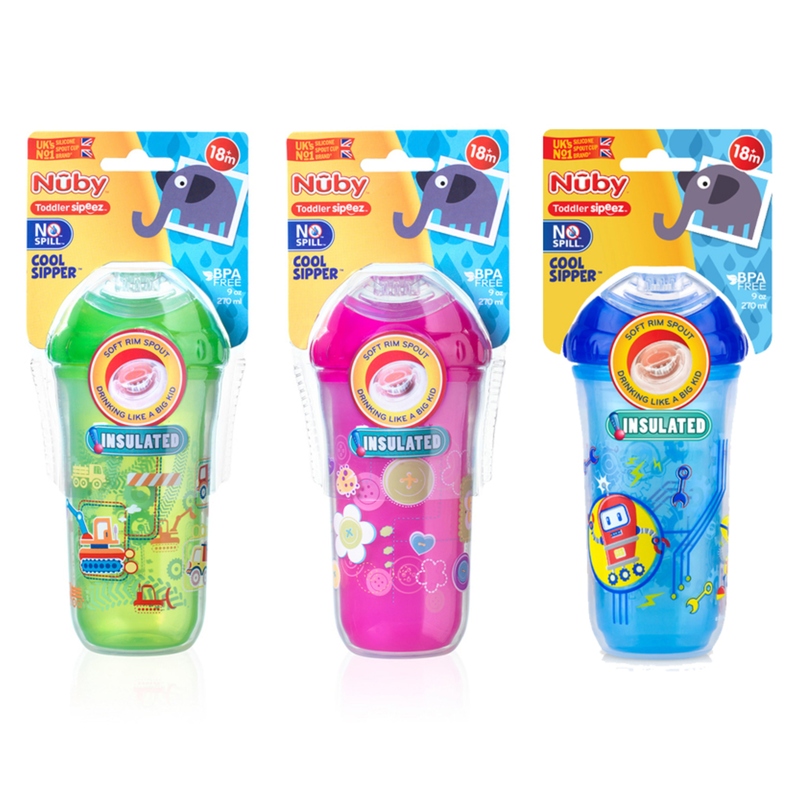 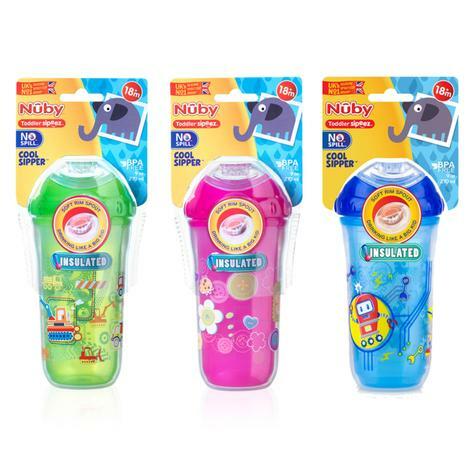 Nuby Toddler Sipeez™ Insulated Cool Sipper Beaker has a wider soft rim spout for learning to drink like a Big Kid! 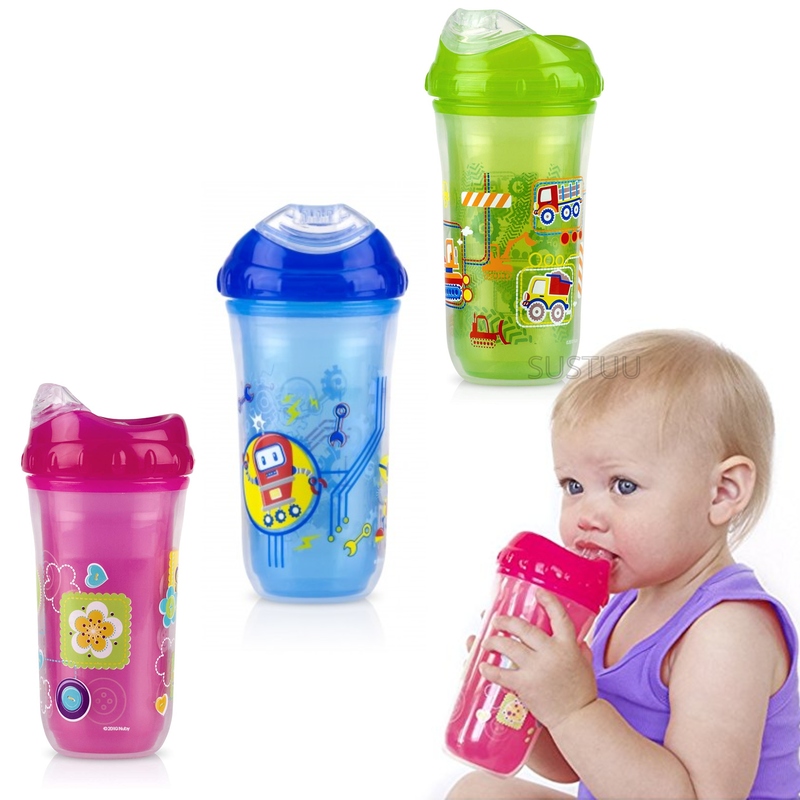 The soft rim spout is gentle on emerging teeth. 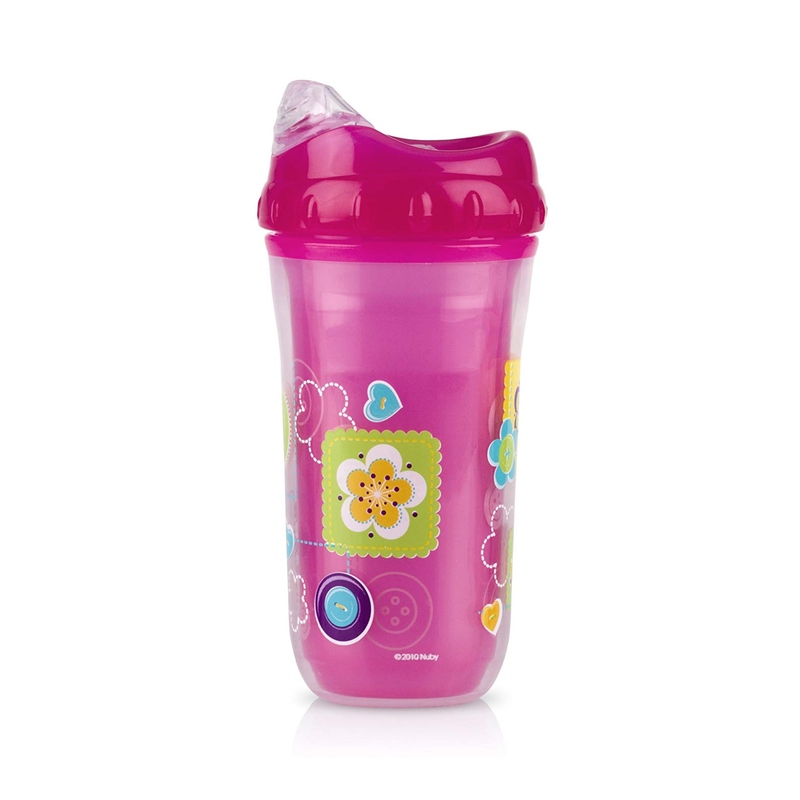 When drinking, the Touch Flo™ valve opens so liquids pass through the spout only when your child sips. 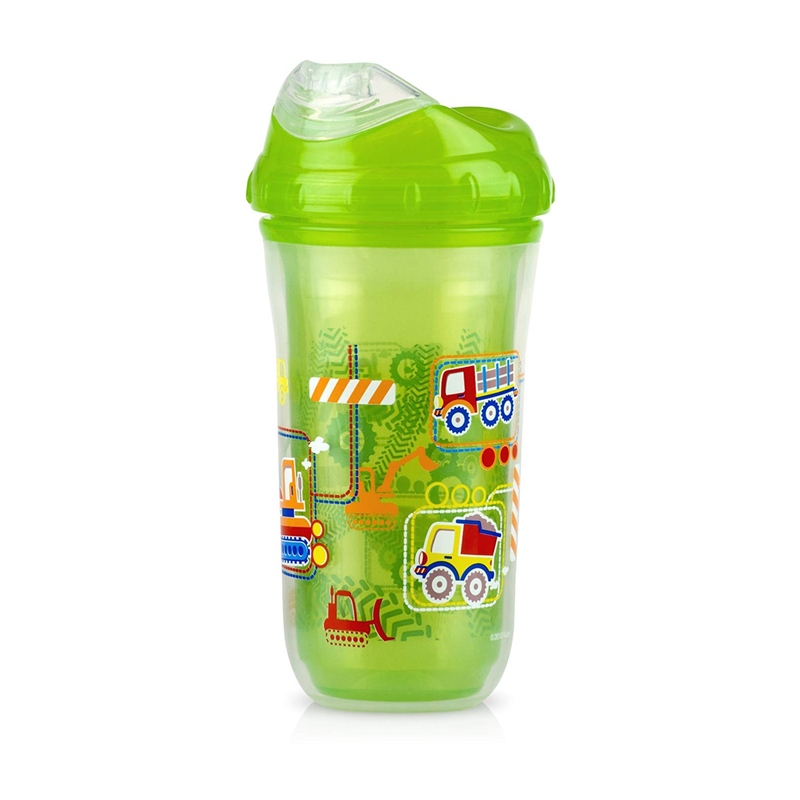 The contoured cup base is easy for little hands to hold. The insulated double wall traps air between the layers, helping to keep drinks cooler for longer and your little one can hold the cup without their hands getting too cold!